4) TED-ED: Why do bees love hexagons? This lesson helps learners understand how genes and environment affect animal behavior of the almighty yet vanishing honeybee. Materials don't necessarily have to be purchased new for this activity. Household or classroom items that you already have can be used (i.e. math manipulatives for the game pieces or substitute the dry erase board with pen and paper). It's true that the cooler weather is a good indication that the seasons are changing, but there's no sign like the color of the leaves. In this lesson, you'll learn why leaves change color in the fall, and you'll learn how to do paper chromatography to separate the pigments found in a leaf. The Here Comes the Sun activity explores the concept of how solar energy is gathered by solar panels and adapted to provide power to a variety of machines, from calculators to spacecraft. Students disassemble a solar powered calculator to explore the component parts and work in teams to suggest design enhancements to the calculator to improve performance. This low-tech offline lesson plan covers the basics of computer graphics. After learning about how graphics work, students will create their own Color by Pixel programs. 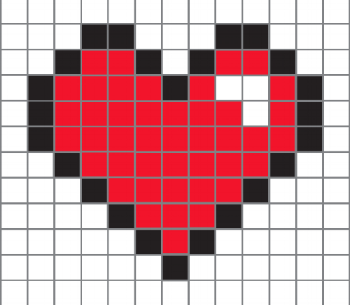 If graph paper is difficult to find, create the grids on index cards with a ruler. For a high-tech extension of this lesson, click here. “Parts per million” is a scientific unit of measurement that counts the number of units of one substance per one million units of another. But because it’s hard to conceptualize really large numbers, it can be difficult to wrap our brains around what “one part per million” really means. Kim Preshoff (with help from 100+ animators from the TED-Ed Community) shares nine helpful ways to visualize it. Take this concept further with your choice (or both!) of the two lessons above. The Rutgers Engineering Planet lesson plan calls for masking tape, but the cup itself can be labeled with a permanent marker. For the Country Club Ichthycide Lab, egg platters can substitute the Chemplates. The more affordable option is to use cups, so it is up to the teacher's discretion whether to use cups or the platters/Chemplates. Also, the eyedropper can be substituted by an empty food coloring bottle. Design challenges provide opportunities to apply skills and knowledge in unique and creative ways. Designers are often asked to create or innovate products that solve complex problems, yet address aesthetic requirements to make the product as profitable as possible. As you will discover with this challenge, designers sometimes have to embody the role of engineers and artists to ensure all solutions also are aesthetically pleasing and creative enough to serve multiple purposes. No materials are needed for this project except the teacher's choice of CAD software and one compatible computer per 1-2 students. Basic craft materials can be used to prototype students' physical designs or elevate the activity by 3D printing the prototypes. Does gender actually affect your ability to taste? Can girls taste the difference between Pepsi and Coke better than boys? These may seem like silly questions, but they can be used to provide an introduction to designing scientific experiments. In this lesson, students will learn what experimental design is, as well as design and complete their own scientific experiment.